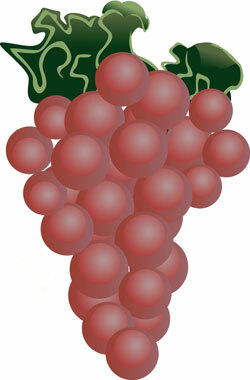 Today, the 4th Sunday of Lent, we consider another symbol that marks an event in Holy Week - the grapes and wheat. Together, these remind us of the disciples gathering in the Upper Room for the Passover and the Last Supper. The grapes represent the source of the wine, which Jesus shared and the wheat stands for the bread He offered. Those gathered about that table found new meaning and purpose for their lives. These symbols speak to us today as we remember that we are part of His fathered community in this world; as we remember the call to ministry which we accept as members of His community. The remind us of the deep, abiding love He offered to each of us so freely and which we are called to share with others. We place the grapes and the wheat before the cross. "Dear God, we are thankful for the community which Jesus, your Son, brought into being. We ask that we have the continuing spirit to be faithful members of that community. Amen.